28.75 h X 28w in. Just as America’s west coast has long been linked the explorer’s spirit, American Pop Artist Ed Ruscha is living proof that the pioneering spirit also lives within Contemporary Artists out west. 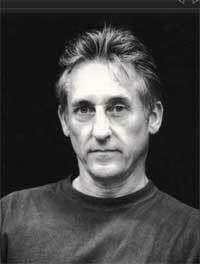 Born in Omaha, Nebraska, Ed Ruscha spent his formative years in Oklahoma City prior to heading to Los Angeles to attend art school at the Chouinard Art Institute (currently known as the California Institute of the Arts). As a transplanted mid-westerner, some of Ed Ruscha’s most captivating works revolve around the essence of Southern California’s landscapes, legendary Hollywood and the urban culture of Los Angeles. 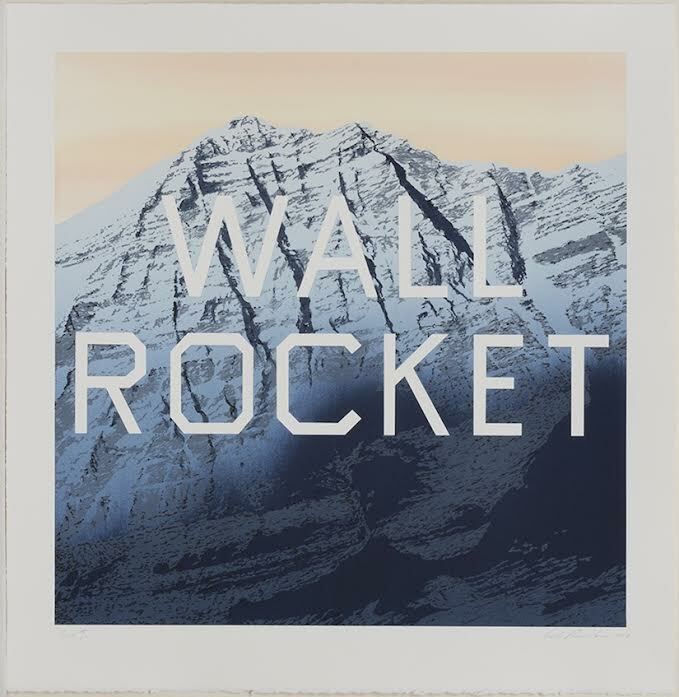 Ruscha’s early artistic influences include the likes of conceptual artists such as Jasper Johns, Marcel Duchamp and Robert Rauschenberg. 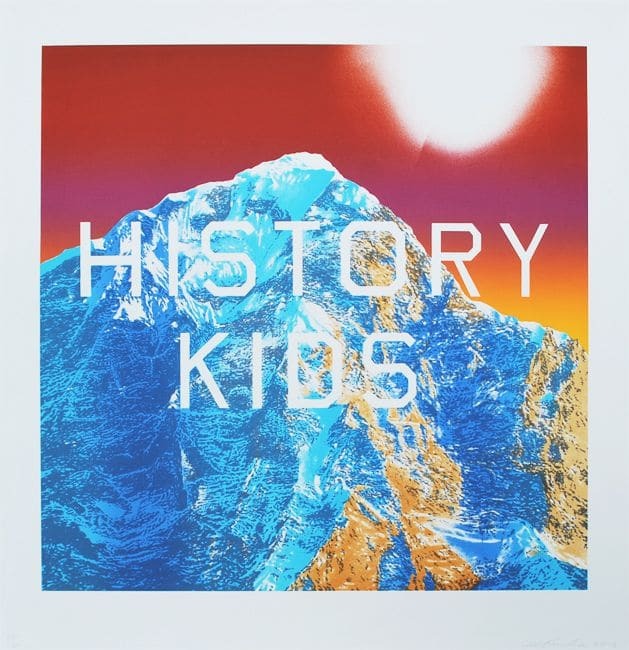 In the sixties and seventies, when the primary focus of the Pop Art scene was emerging in New York City, Ed Ruscha was bringing to light many aspects of west coast Pop. Ruscha brought Pop Art’s deadpan sensibilities to reflect some of the underwhelming aspects of “larger than life” Hollywood, everyday life Southern Cal and the underbelly of the L.A. scene. 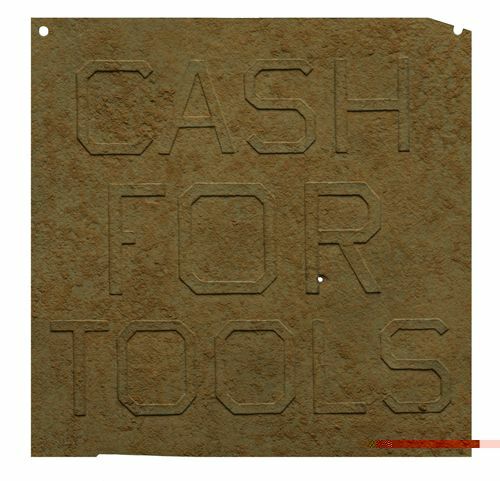 Proof of Ed Ruscha’s inclusion as a founding member of the Pop Art movement was the artist’s inclusion in what was considered to be a historic Pop Art exhibition in 1962. 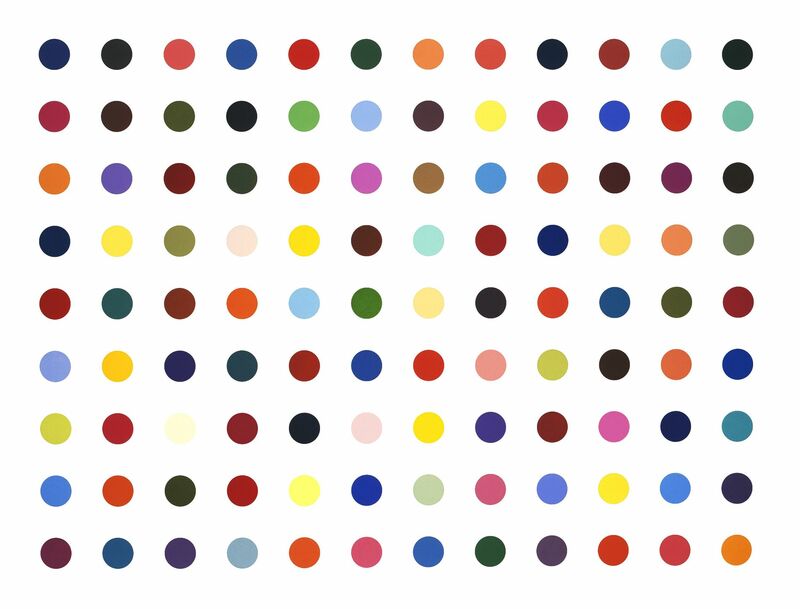 “New Painting of Common Objects” was the name of the show at the Pasadena Art Museum, which featured Ruscha’s art alongside the likes of Contemporary Works by Andy Warhol, Roy Lichtenstein, Robert Dowd, Jim Dine and others. By the time of Ed Ruscha’s inaugural solo exhibit at Los Angeles’ Ferus Gallery in 1963, the artist was receiving national attention for his unique contributions to Pop. 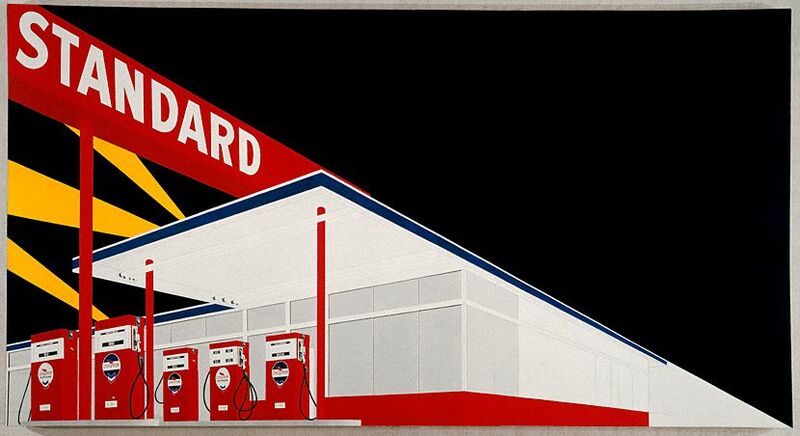 Ed Ruscha’s 1963 oil painting Standard Station, Amarillo, Texas, is among the artist’s most popular work of the 1960s. To some, it warranted comparison to Edward Hopper’s Gas oil painting from 1940. Any such comparison is likely reveal as much about the differences than any similarities. While Hopper may have captured in the style of realism the bleakness of a lonely gas station upon the American countryside, Ruscha’s modern Pop Art painting says something very different. 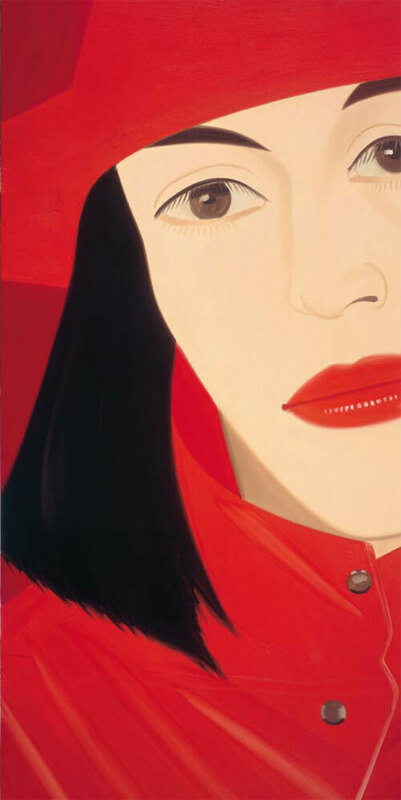 Ruscha’s bold lines, flatness and “Hollywood” styled spotlights shining from back deftly portrayed the modern affect of the new Pop Art movement. 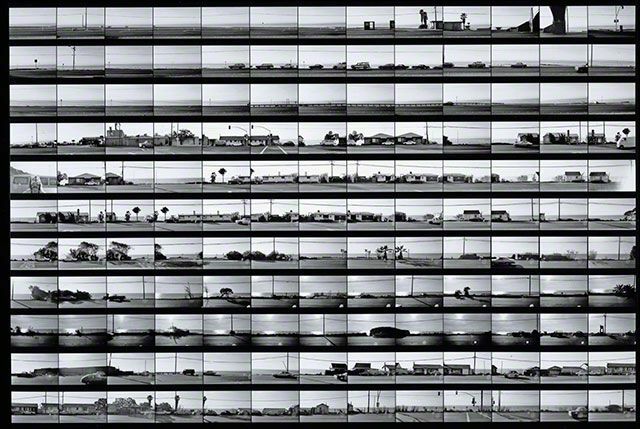 Much of the Hollywood and downtown L.A. scene has become subject matter for Ed Ruscha’s art. His 1962 Large Trademark with Eight Spotlights, a large scale painting that hangs in New York’s Whitney Museum of Modern Art, is one such piece that showcases the 20th Century Fox logo in all of its power and glory. 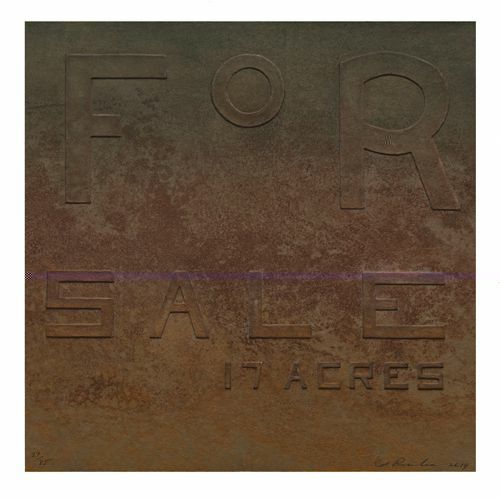 Ed Ruscha has continued to pay homage to such iconic symbols of Hollywood time and again over the last half century. Indeed, the mountains that appear in the background of the Paramount Pictures logo inspired an entire Mountain Series of works by the artist. As is often the case with American Pop Artists, Ed Ruscha has made it a point to contrast the exaggerated nature of popular culture with actual representations of the most ordinary aspects of American life. It’s this desire to showcase life as it really is that prompted the artist to create 16 small artist books throughout the 60s and 70s. With titles such as Every Building on the Sunset Strip, 1966 Thirtyfour Parking Lots, 1967, Real Estate Opportunities, 1970 and Colored People, 1972. 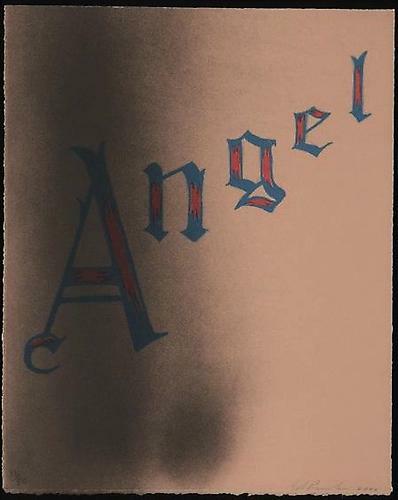 Ruscha’s very popular books provide glimpses into his snapshots of real life, given context by the nature of inclusion with the given title of each collection. 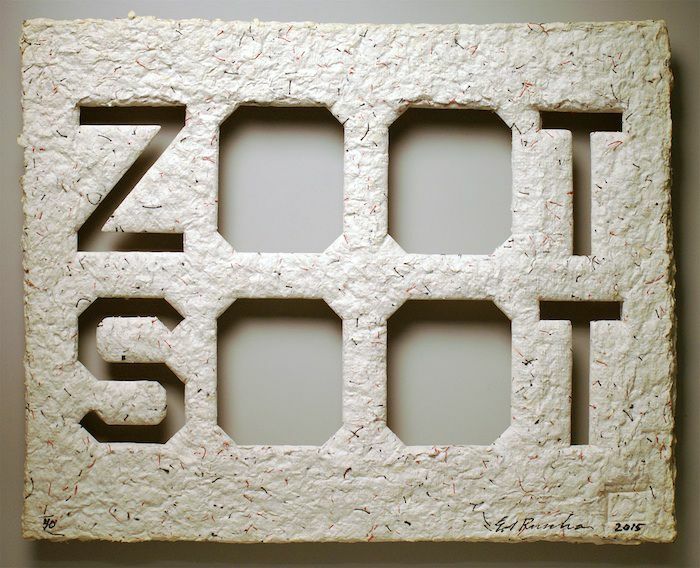 For many Ruscha collectors, the artist is best known for his works that feature word play. 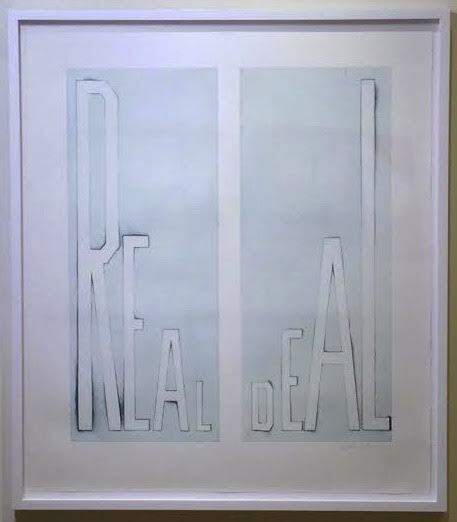 Ed Ruscha’s word paintings and prints represent perhaps his most unique contributions to Pop Art. His word paintings of the late 1960s featured highly textual singular words, such as Adios (1967) and Desire (1969), which were provided context by the shape and form of the single word presented naked. 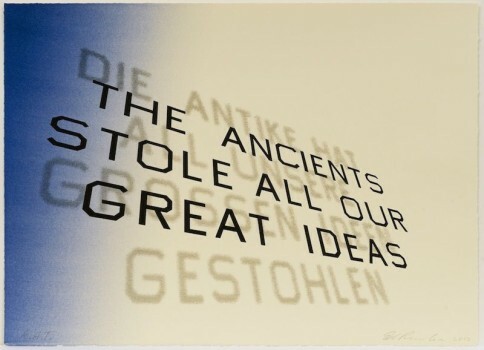 Over the following decades, Ruscha experimented with various collections of letters and words. Unique series of Ed Ruscha’s word works include those with rhyming words, sentences and quotes. 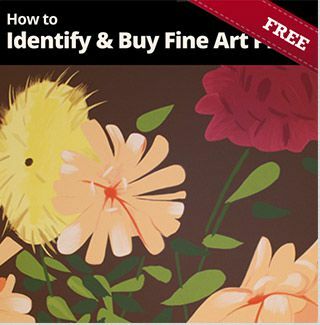 The artist’s word-focused works have varied from letters and words alone to those placed in front of mountain ranges and abstract background designs. 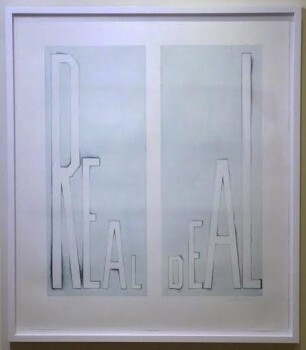 Ruscha has described the letters and words as entering the page in similar fashion to actors entering a stage. 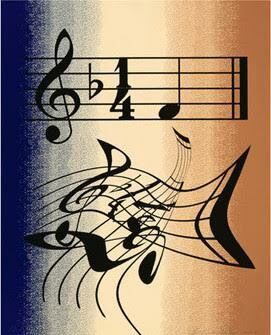 As such, his letters of different sizes, shapes and textures, appear to enter and “almost” exit the stage on various sides and at various angles. In the 1970s, many such Ruscha works featured words set against field of color backgrounds. Beginning in the 1980s, the artist began producing works with words or phrases placed in front of nighttime skies, sunsets and fields. Again, these natural settings appeared as backdrop for the real actors, the words, to deliver their lines. In a series of works that began the late 1990s and continues today, Ruscha has been fond of words appearing in front of mountain ranges or in front of one or more particular mountain peaks. The words are portrayed in a capitalized font developed by Ed Ruscha that bears resemblance to the Hollywood sign that famously sits elevated in the Santa Monica Mountains. 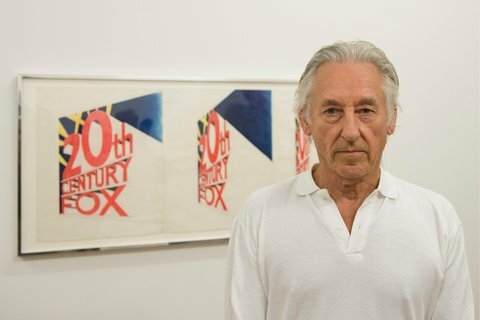 Currently in his seventies (Ruscha was born December 16, 1937), Ed Ruscha continues to be prolific and his works have become increasingly sought after by Pop Art collectors. The artist served on the board of trustees of the Museum of Contemporary Art (MoCA) in Los Angeles from 2006 to 2012. In 2013, Ed Ruscha was elected to a three year term on the board of trustees of the San Francisco Museum of Modern Art. 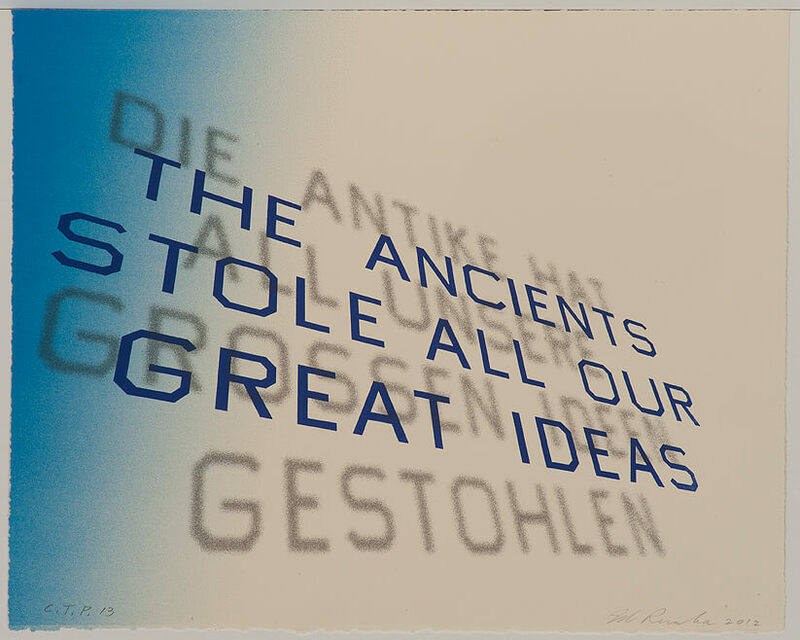 In 2015, Ruscha announced that he would donate one copy of every print he makes for the rest of his life to Tate, the umbrella organization that oversees the Tate Museums. As part of this year’s Edinburgh Art Festival, in conjunction with the Scottish National Gallery of Modern Art, The Tate has put together an exhibit of Ruscha’s work called Music from the Balconies: Ed Ruscha and Los Angeles. At age 77, Ed Ruscha is still putting a lot of thought…and a little bit of mischief… into his work. 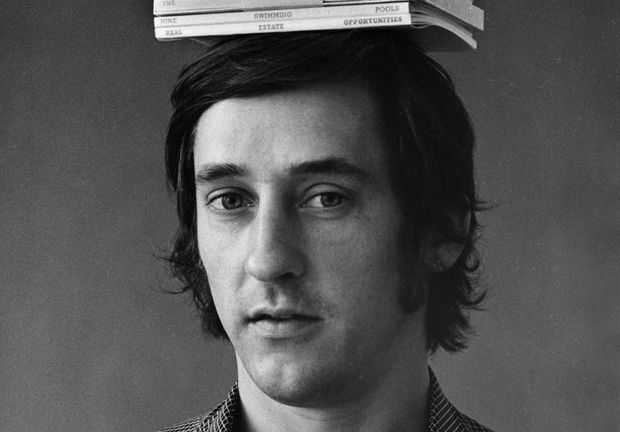 Ruscha is a masterful print artist, painter, filmmaker and photographer. The Mark Twain Quote lithograph, one of the Ruscha’s available in our gallery as of this writing, is a fine example of the thought and humor that goes into each of his works. 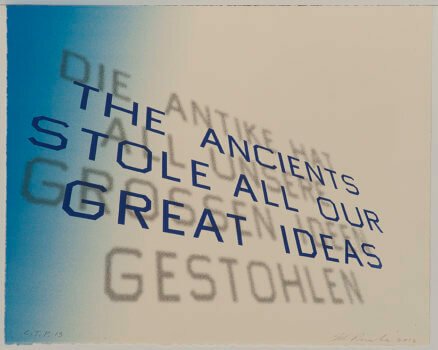 Using a Mark Twain quote, The Ancients Stole All Our Great Ideas, shadowing it with its German translation on a gradient background, makes the visual impact of Mark Twain Quote very powerful and does what Ruscha intends to do with all of his work: “Art has to be something that makes you scratch your head.” he said.